What do you thinking about healing? My opinion has definitely changed over the years. I’m certain that when I first thought about the subject, I believed that I needed to BEG God. I am ashamed to even type that out, but I am being transparent. Why would I have to beg my Father for something good? I mean, would you have to beg your parents to bless you? It has taken years to get to the place where I KNOW God’s love. I know that He is a God of love. I also know that we live in the New Testament (hallelujah)! With the New Testament comes the benefits of what Jesus did for us. My Savior, my best friend, my Lord, my King — He took away my sin AND all sickness. Healing is just as much a part of Christ’s atonement as salvation. Jesus took our diseases just as much as He took our sins. Think about that truth for a moment. Is that something you’ve ever considered? To quote Andrew Wommack, “If Jesus died to provide healing for us, then it’s not just incidental. If the Lord suffered and took stripes on His back for our physical healing, then it’s not insignificant. If Jesus thought enough of healing to purchase it for us, then we ought to think enough of it to receive” (God Wants You Well Study Guide; page 10). 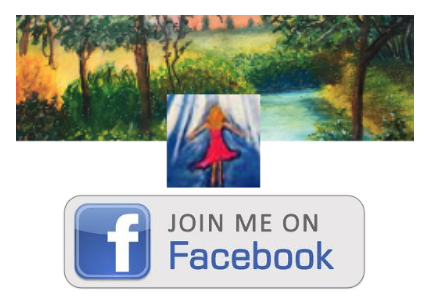 I have shared my journey over the years concerning my understanding about healing. I had a friend die of cancer last year. She fought for healing and though she left earth too soon, she knew in the end that God had not given cancer to her. She knew her enemy; satan. Religion would say, “God gave you that sickness to teach you a lesson” or well meaning people might pray, “God please heal sister Jane, IF it be Your Will.” Relationship says a loving Father — THE Loving Father — would never give sickness. He sent His Son to take away our sickness and disease. We know who sickness comes from (John 10:10). The thief! Jesus said in John 14:9 that anyone who sees Him has seen the Father. And in John 5:19, Jesus said that He ONLY does what He sees the Father doing. What did Jesus do while He walked the earth as a man? HE HEALED PEOPLE. HE CAST OUT DEMONS. Is it God’s Will to heal? YES YES YES YES! Today I just decided to start reading through the book of Mark. I often read Matthew and skip through Mark because the gospels are so similar, but today I stopped at Mark. As I read, I wept because I realized most of what I was reading was about Jesus HEALING people and casting out demons. Do you still wonder if God wants you well? The disciples immediately followed this command and saw the fruit of their obedience. Why should we be any different? Ugh, man’s religion and traditions have watered down what the Church does and who the Church should be to the world. That is easier said than done, but I’ll share something God has been teaching me. For example, let’s say I had a pain in my hand. I recognize the pain and I command it to leave. I know it doesn’t belong to me because Jesus has already paid for my healing on the cross. Pain, GO in Jesus’ Name! I speak to the pain. I don’t pray for God to remove the pain (because He has already purchased healing for me). I don’t beg God to do something He has already done. Eventually, since I didn’t come into agreement with the symptoms of the pain, it disappears. I don’t even think about it until BOOM — I THINK ABOUT IT. I remembered it and without even speaking anything out loud, the pain reappeared! It came back because I entertained a thought about it. (Yes, DEMOLISH AND TAKE CAPTIVE every thought that doesn’t line up with God’s Word.) Again, I commanded the pain to go and tried to use SELF-CONTROL in my thought life. It isn’t as easy as you might think, but it is a good lesson! Begin practicing today — capture bad thoughts and bring a stop to them. Okay, are you still tracking with me? So then I begin to ponder AGREEMENT. There is something powerful about agreement! Doesn’t the devil mock and copy God’s Word as much as possible? I also believe that when we agree with the enemy there is power as well. For instance, what IF … what IF a person didn’t AGREE with a diagnosis? What IF they immediately DISAGREED and REFUSED to receive it? Denial? Not necessarily — just agreement. When I hear someone call “arthritis” their own, I often say, “It is attacking you, but it ISN’T YOURS.” Do you see the difference? Sometimes it seems like people not only adopt a diagnosis, but it becomes their identity. I’m not trying to sound insensitive. Please forgive me if it appears that way. I have seen many people struggle — even in my own family. I’m just saying, WHAT IF we never agree with a sickness? WHAT IF we laugh at the plans of the enemy and BELIEVE God’s Word more than a diagnosis? Doesn’t it change your perspective to know that Jesus ALREADY purchased our healing? We just have to FIGHT for what is ours! We receive it just like we did salvation and then we command our bodies to come into agreement with the Truth. Jesus didn’t command us to beg for healing. He said for Christians to lay hands on the sick and they would be healed. Step out in faith and partner with the Holy Spirit. If you don’t agree with what I shared, search the scriptures for yourself. Never take any man’s word for it. God’s Word is TRUTH. Andrew Wommack’s ministry has wonderful teaching on healing (along with testimonies of people who learned the truth about standing on God’s Word and had amazing breakthrough). Visit his ministry HERE.